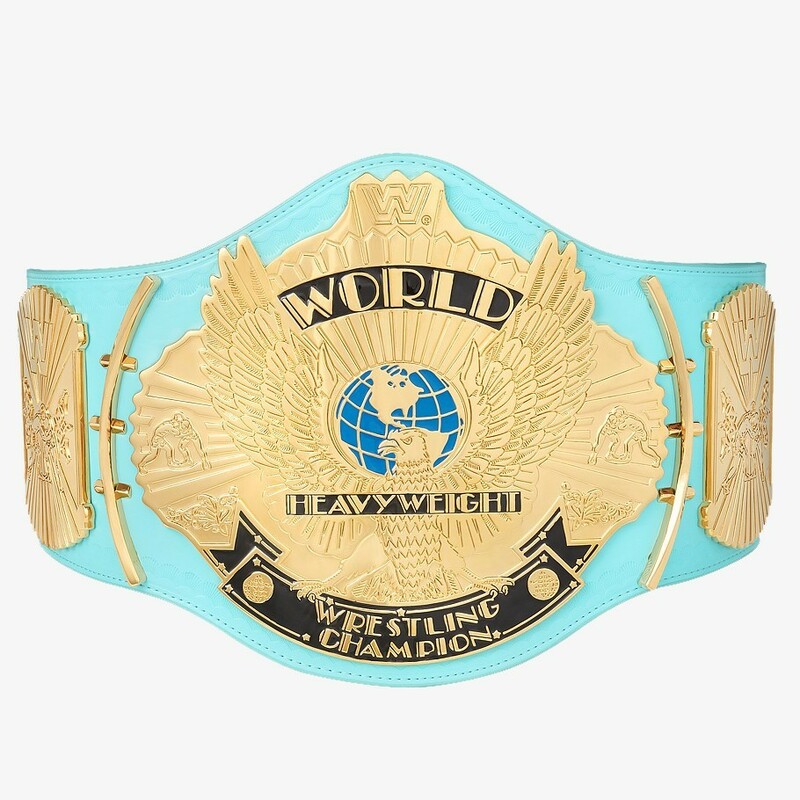 The plates on this WWE Winged Eagle Replica belt are 4mm thick and is crafted with a tremendous amount of detail. 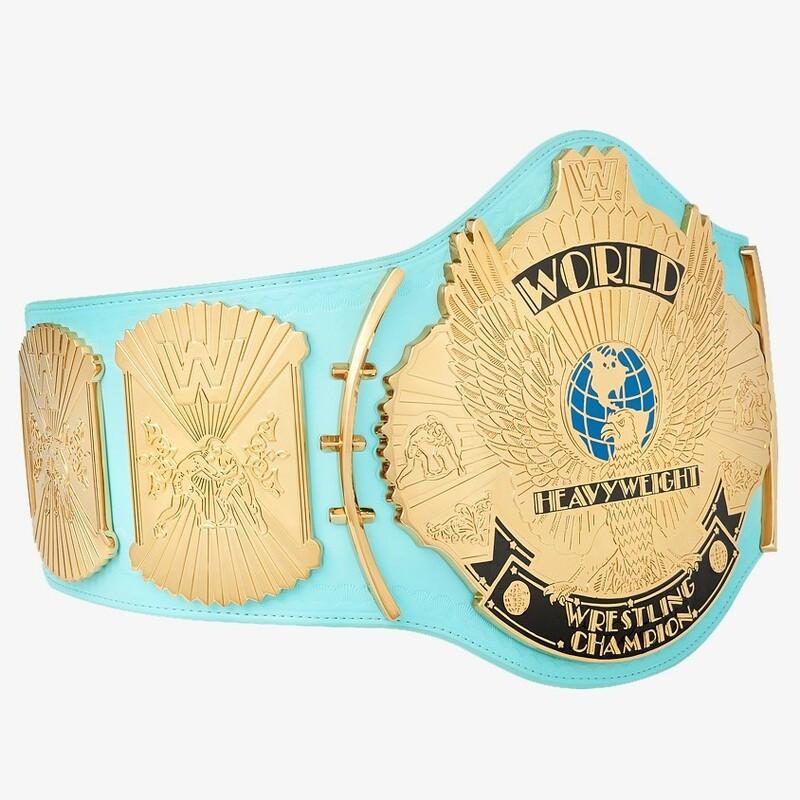 The plates on the WWE Winged Eagle belt are created using advanced computer imaging technology to create the most accurate plates ever produced. Every detail on these Official WWE replica championship titles are deeper and clearer than ever before. 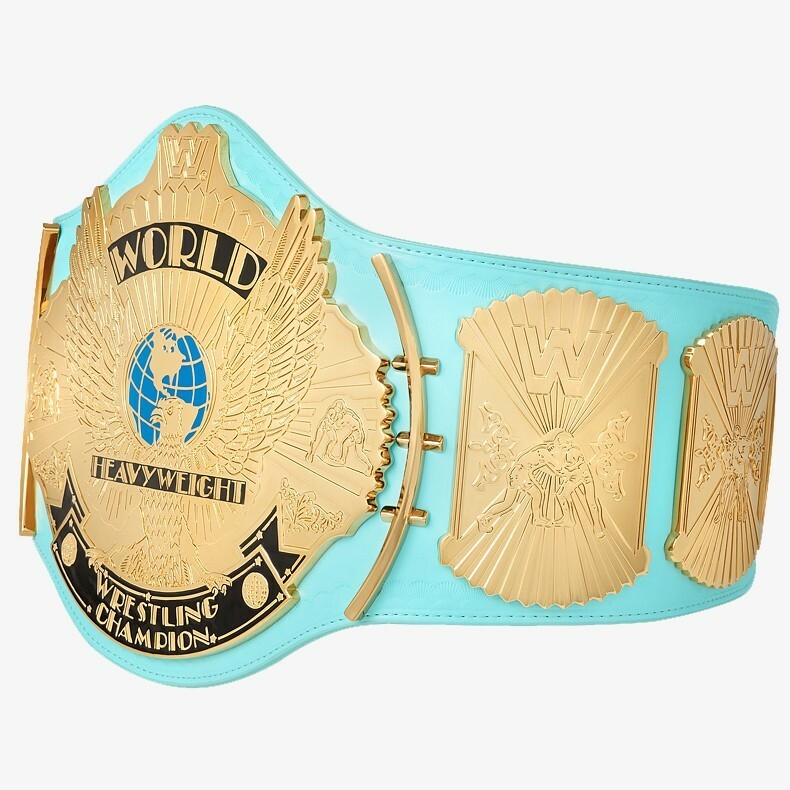 Crafted after the actual belt handmade by Reggie Parks, the WWE Winged Eagle Championship Adult Size Casted Replica Belt is an exact-scale replica of the classic 1990's version with the Legends "W" logo that measures 4 feet 2 inches long and weighs 6 pounds. 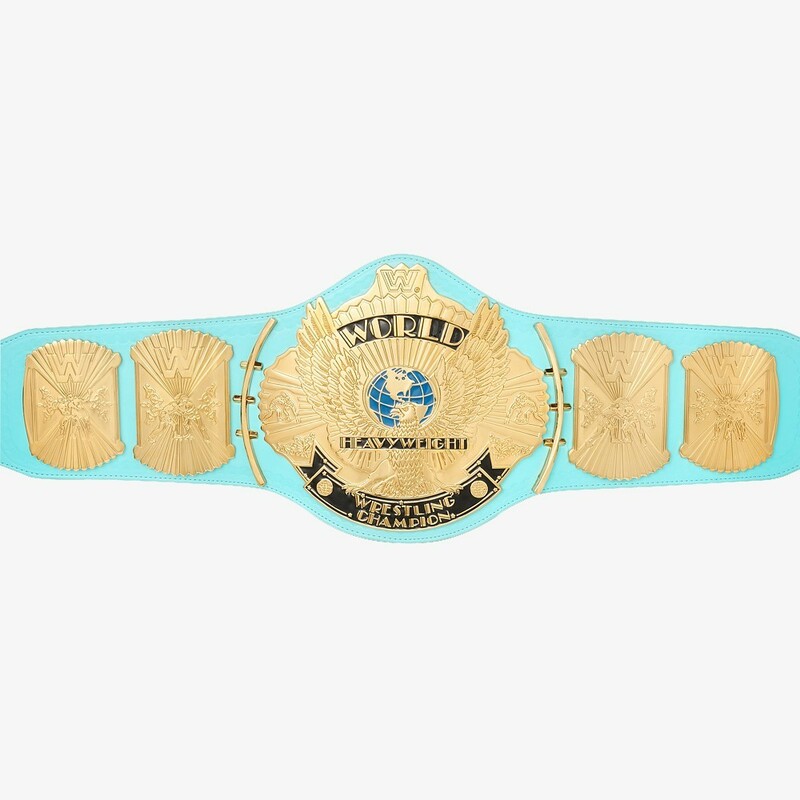 The strap is made of our new and improved simulated leather, and the center medallion measures 9 inches high.